Heyyy beauties! Get ready for the party, because February’s box is full of *very* useful products and also something really fun. Occasionally, we like to put in a little surprise of sorts that’s not technically a beauty product, but brings us a lot of joy and that we want to share with you. It seems like a good natural shampoo and conditioner is one of the hardest products to find. 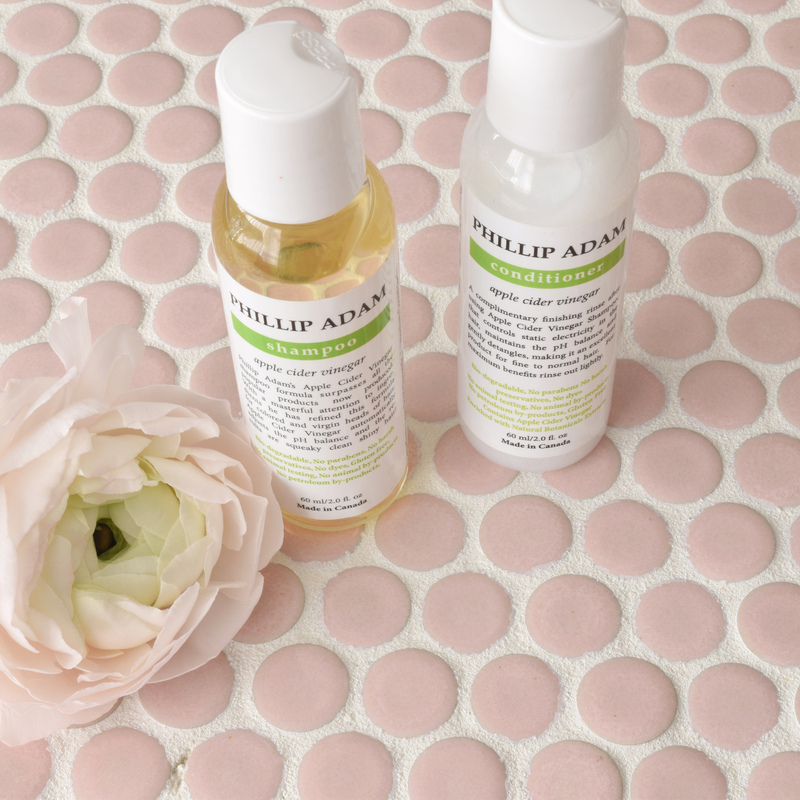 We are totally smitten with this duo and can’t wait for you to try it for many reasons. First, I’m sure you know of the apple cider vinegar trend in hair. ACV is so desirable because its pH is similar to that of the hair/scalp, so it can help bring your hair back to the right acidity. 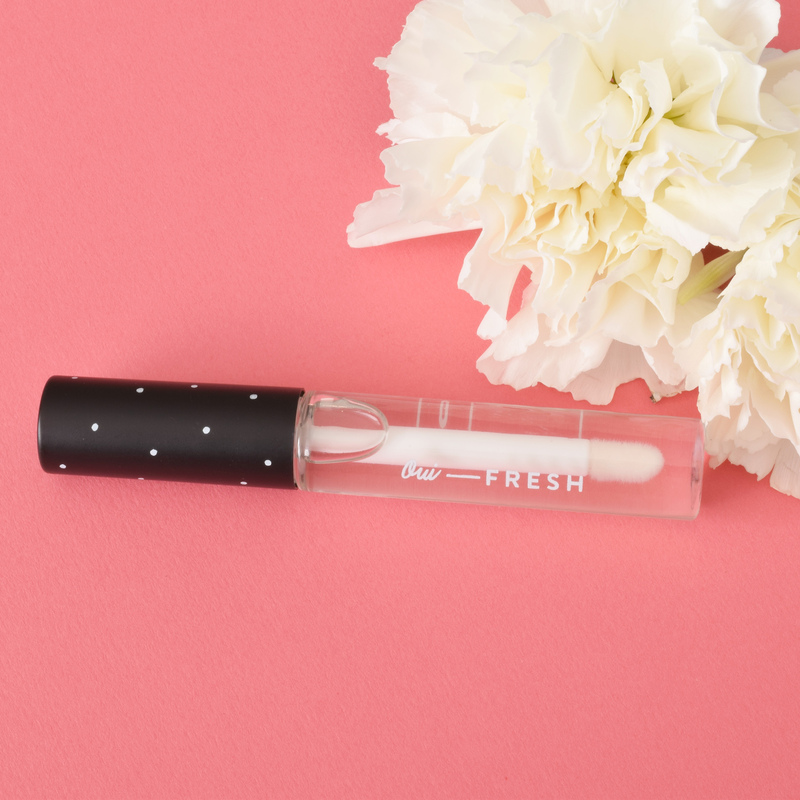 It can also help to reseal the cuticle and make your hair smoother and more manageable, which is always a plus! A few things that aren’t great about too much ACV for your hair is that it can make your hair brassy and dry if high concentrations are used too much. Enter Phillip Adam! We love that these products give you all the great benefits of apple cider vinegar, but are really nourishing. Safe for all hair colors, types, and ages, this formula doesn’t smell like apple cider vinegar AT ALL and is scented with botanicals and apple extract—it has a really soft and natural apple scent. This shampoo feels very clarifying and cleansing and the conditioner comes in and leaves hair super soft, shiny, and detangled. I used up my bottles in no time because I just loved washing and conditioning with this set. Favorite application: Starting with a bottle-cap size of shampoo in your palm, work from your scalp down to your ends, but mainly focus on the roots and scalp. Gently massage the shampoo into your scalp to stimulate circulation and avoid scratching/scrubbing with nails—your scalp is sensitive! Rinse shampoo very thoroughly. Apply your conditioner generously to the ends of your hair and just a little by your scalp. If your hair is extra thirsty, don’t rinse all the way and leave some conditioner in your hair to soften through your styling routine. 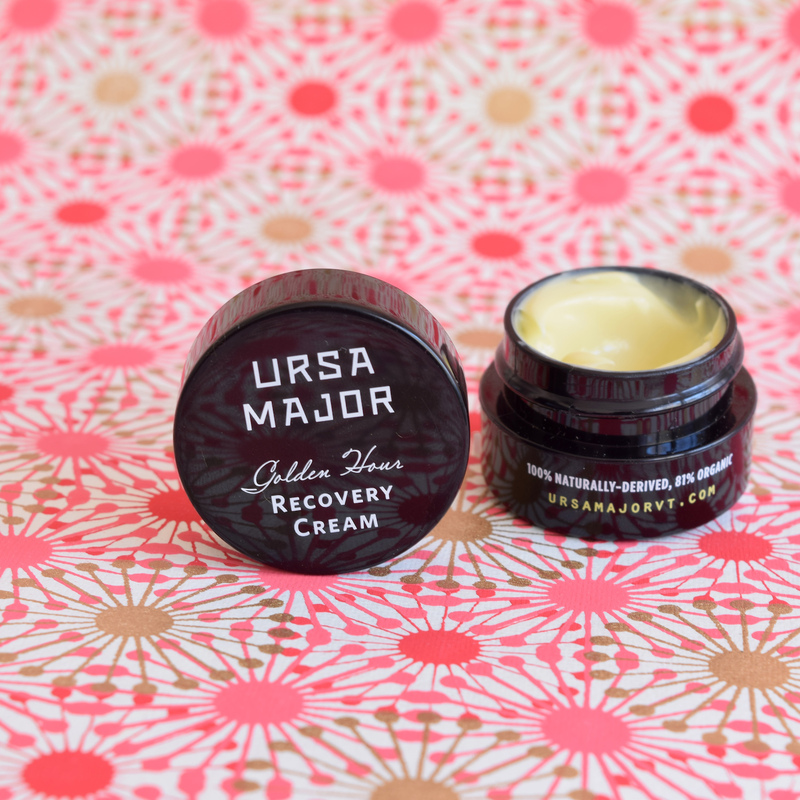 Ursa Major calls this recovery cream their “medicine cabinet hero,” and it’s easy to see why! This cream is rich but fast absorbing and super nourishing. Sea Buckthorn, calendula, and black currant condition and hydrate the skin while improving firmness and elasticity, and the delicious scent of sweet neroli, sour rose, and sandalwood are so dreamy. If you’re going somewhere chilly and you’re only taking *one* nighttime product, this is the one! Because of its major hydrating power, you don’t really need to pair it with anything else. However, if your skin is crying for help, this product pairs perfectly with any serums, oils, or balms—it seems like it will be really rich and dense but it magically feels weightless! My husband Michael really likes to use this too, as his skin can get pretty dry and flaky in the winter. This cream has his skin looking healthier in just a few hours—it’s pretty amazing. Great for all skin types including sensitive and for skin that’s exposed to the outdoors. Favorite application: Gently massage a dime-sized amount of product into the skin as often as needed. We love this product as an overnight treatment. 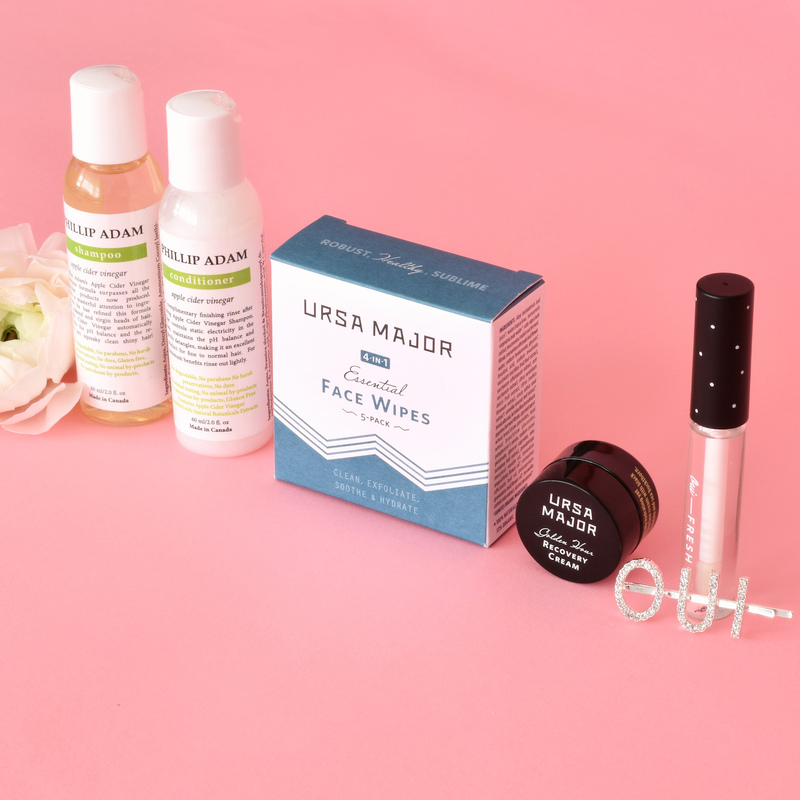 Special offer: Enter code freshfeb at checkout for 15% off your order from Ursa Major (limit 1 per customer). Expires April 30, 2019. These face wipes are truly where it’s at. We LOVE how cleansing these bamboo wipes are without drying your skin out; something that’s hard to find in a product like this. Thanks to ingredients like aloe and sodium hyaluronate, your skin stays hydrated as sugarcane and willow bark (natural sources of AHA and BHA, respectively) gently exfoliate dirt, makeup, and other grime away. Green tea and birch sap help to soothe and even skin tone. If you’re someone who struggles to want to wash their face after the gym or after a long day, these little bamboo squares are a lifesaver. 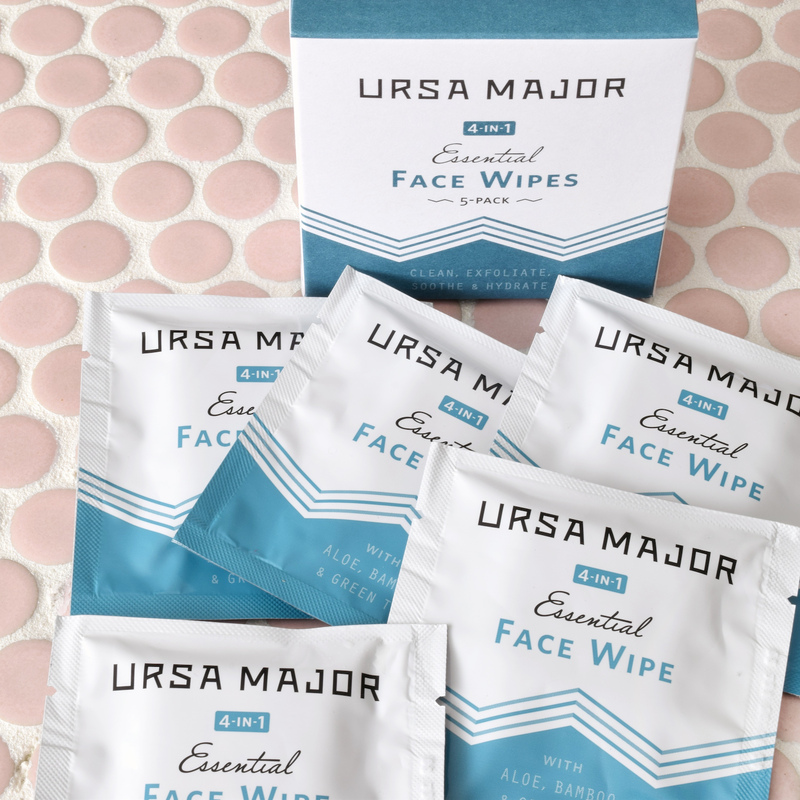 I can’t tell you how many wipes just positively zap my skin of any good oils and hydration—I feel like after I use these wipes my skin is much better for it. Favorite application: Keep some of these wipes in your gym bag and purse; you’ll never be without a refresh when you need one. You can even use these wipes to wipe off your body after a workout if you don’t have time to shower off. Favorite application: Great to go over your favorite lipstick or use alone for a subtle shine. We love to put this one on before bed as it’s so nourishing and healing. Special offer: Enter code oui10 at checkout for 10% off your next Oui Fresh order (limit 1 per customer). 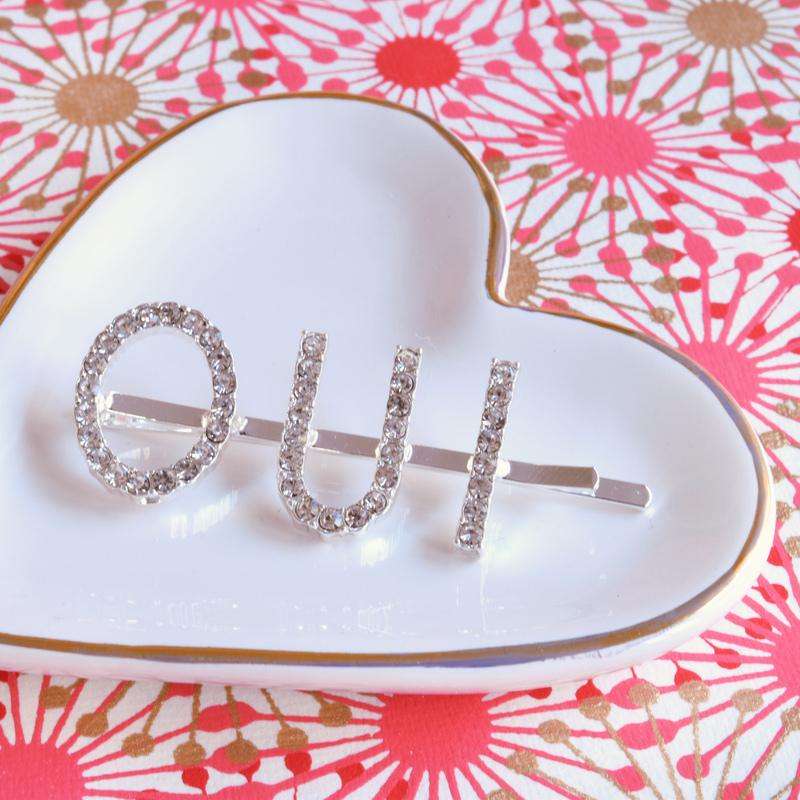 Time for a fun surprise … these “Oui” hairpins were made ESPECIALLY for the box this month by Abbey and her team at Daily Disco in St. Louis! We thought this month could use an extra special treat and we love that these pins can be used on any length of hair. Abbey is known for her custom denim chain stitch embroidery, embroidery art prints, and flair, and we’re over the moon for these new hair accessories! Favorite application: So so cute to pin hair back from the face, or to tuck under the back of a top knot, or weaved into a braid. Special offer: Enter code OUIFRESH at checkout for 20% off your order from Daily Disco (limit 1 per customer). Expires March 1, 2019. Credits // Author + Photography: Keely Rust. Photos edited with A Color Story Desktop.